To practise writing (3rd grade-Montenegrin schools). 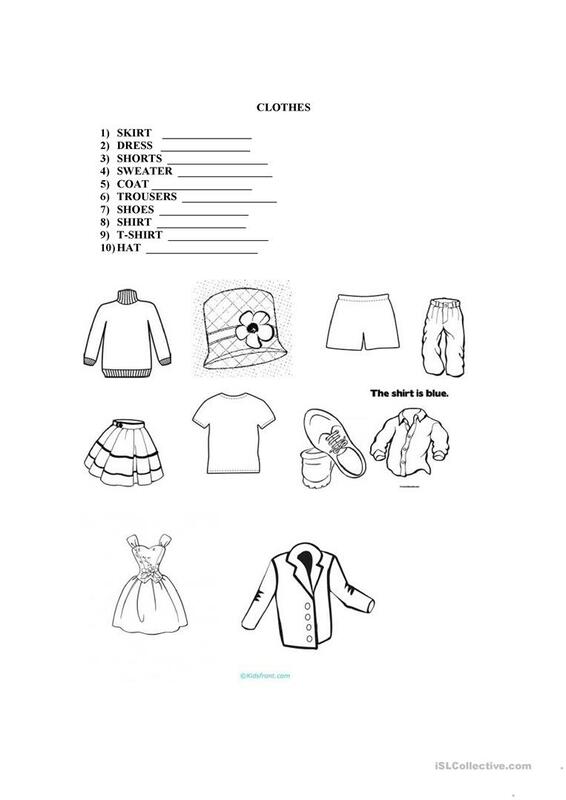 Students should read and write clothes words.Join the picture with the word. This printable, downloadable handout is intended for elementary school students at Beginner (pre-A1) level. It is a valuable material for strengthening your pupils' Reading and Writing skills. It focuses on the theme of Clothes, fashion. MsZoka is from/lives in Montenegro and has been a member of iSLCollective since 2013-10-08 15:41:32. MsZoka last logged in on 2019-04-18 14:50:42, and has shared 48 resources on iSLCollective so far.